The City of Richmond Treasurer’s Office is proud to announce the Inaugural Financial Literacy Fair. The purpose of the fair is to empower the citizens of Richmond to gain more insight on managing their personal finances and taking essential steps to build personal wealth. 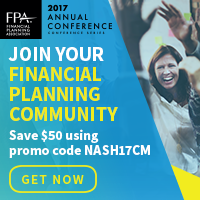 The FPACVA table is going to be staffed with financial planning professionals who will meet with participants in 20 minute sessions and answer any questions related to their personal finances. FPACVA members can volunteer for the 10:00am – Noon shift, 1:00pm – 3:00pm shift, or both. FPACVA is looking for volunteers who can schedule a one-day visit to work alongside high school students as they complete a budgeting simulation at JA Finance Park. Volunteers serve as mentors who bring the simulation to life!